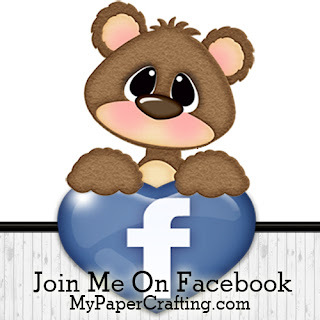 Today is my day to share over at the Pazzles craft room. So to start my new year off, I decided to share a card I had to make for my niece. Often I create birthday cards that aren't necessarily specific to the season in which they happen, but this card is going to my niece who was born in the first week of January. Plus she lives in Michigan so, I thought a cute little snowgirl card would fit the bill. Here’s a closer look at the sentiment. I cut all the pieces in plain white cardstock. I colored the letters and the present ribbon in with my Peony Purple Shin Han marker. I also used my leaf green shin han marker for the present. I edged the outline with my Crystal Blue Ink pad. For the dot of the “I”, I used a cute little puffy sticker from the “Stuck On You” Puffies sticker set. Here’s a closer look at my stamped tag. I used my Thistle Ink Pad and a stamp set to stamp the sentiment. I finished it off with some of my Thistle Thick Twine and a little pearl gem. I did also use some foam tape to give it a little lift. Here’s a look at the finished card closed. My card features some of the fun new EXCLUSIVE cuts I created for the Pazzles craft room this month! Here are just four of the newest ones. Be sure to head over to Pazzles and check out the rest of the designer’s great projects. You will just love what they have been dreaming up. PLUS don’t forget you can join the craft room and can download files including the exclusive ones I create for them.